The changes include an updated definition of PR, entry-form revisions and a new point system for the Network of the Year award. The Cannes International Festival of Creativity has introduced several significant fixes for the PR Lions after communications agencies were overshadowed by creative shops in nearly every category in 2016. The festival amended its definition of PR, how it credits agencies for its Network of the Year award, and key information for entry forms, among other changes. Amid pressure from the PR industry, Cannes worked with a hand-picked committee made up of industry experts who have participated in the PR Lions to evolve the category and develop a new definition over the course of six months. The old definition: "The PR Lions celebrate the creative use of reputation. Entries will need to demonstrate innovative ideas that have sway; that is work that tangibly builds trust or engenders increased understanding between brands and originations and their publics." The new definition: "The PR Lions celebrate creative work which successfully builds trust and cultivates relationships with credible third-parties, utilizing mainly earned media tactics or channels to influence public dialogue and ultimately change perceptions and behaviors in ways that protect and enhance the reputation and business of an organization or brand with its target audiences." Industry leaders say the revised definition brings "trust" and "earned media" to the forefront. "The new definition has been designed to ... [take] into consideration the breadth of modern PR briefs and [highlight] what differentiates the discipline from advertising, focusing on how PR mainly relies on earned means of influence through credible and uncontrolled third parties," says Fiorenza Plinio, head of awards development at Cannes, via email. The lack of trophies for PR firms at Cannes has been a sticking point for some time. Last summer, PR agencies expressed their frustration after they took home only five PR Lions. Once again, Cannes’ definition of PR became a key point of frustration for the industry. "About a year ago, Cannes shortened many of the definitions to a nonsensical statement," says Betsy Quinn, Ketchum’s global awards director. "And [the PR definition] wasn’t a suitable definition to give PR juries guidance." Quinn takes umbrage at the idea that one "uses" reputation instead of "building" reputation. "When you evaluated the results they submitted [for the winning work], you quickly realized there wasn’t much PR behind it and there certainly weren’t the type of results we would be proud to submit," Quinn says, adding she hopes this new definition provides a more accurate lens through which to evaluate winning PR work. "I don’t think changing the definition will change what wins," Quinn says. "What I hope is the next jury will think about it and apply a filter, and this definition [provides] a framework with which to evaluate the work: is the idea a winning idea because of the contribution of PR? If they can take that seriously, it may very well change their perspective on what they perceive to be winning ideas in PR. We’ll have to see." Karen van Bergen, CEO of the Omnicom Public Relations Group and this year’s PR Lions jury president, says she struggled with the definition, as well, particularly with "ideas that have sway." "That has a risk that you look at stunts and going back to the old days where PR was more events and creative one-offs," she explains. "That’s very cute and nice, but not what we expect from PR solutions that have real business impact." Renee Wilson, president of the PR Council and a key figure advocating for changes to the PR Lions, downplays any conflict between Cannes and the PR industry. "[Lions CEO Philip Thomas] really wants PR to do well. He was open to collaborating to get our industry best represented," she says. "Basically, they know we, the PR industry, need Cannes and Cannes needs PR." 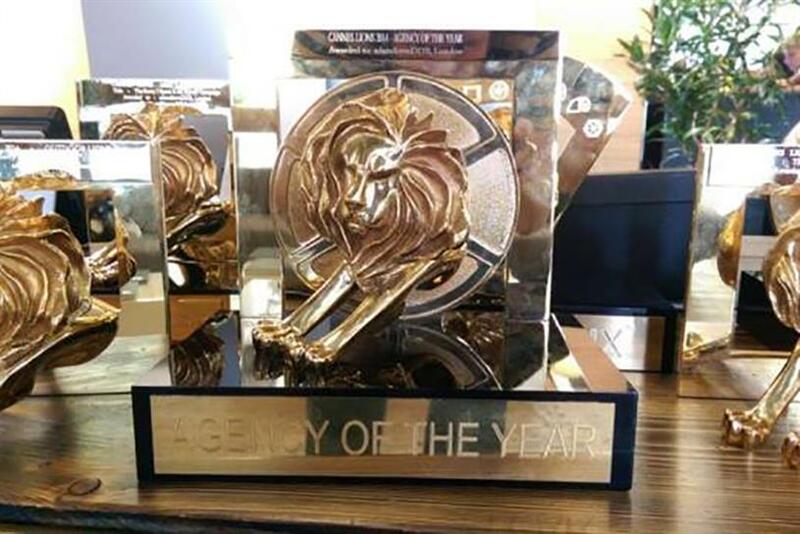 Since the category’s launch in 2009, the number of entrants to the PR Lions has grown an average of 30 percent year-over-year, according to a Cannes spokesperson, though that number slowed to 13 percent last year with 2,225 total entries. Quinn attributes Cannes’ willingness to "listen to every industry’s beef" to their desire to grow the festival, be more inclusive, and provide a fair environment for PR. Plinio notes disciplines will likely continue to blur, giving life to a new ecosystem. "PR practitioners are now picking up Lions outside of the PR category and starting give the creative agencies a run for their money in other disciplines," Plinio says. "In much the same way, participants outside the PR industry are winning PR Lions and have embraced the clarification of the category. It helps them to better understand the kind of work that is suitable to enter." Cannes eliminated a rule that mandated points be split between ad and PR agencies for the Network of the Year award. Now, points for Network of the Year are only awarded to companies credited in the "idea creation" role, according to the organization’s website. The theory: without having to compete with their PR partners, ad agencies won’t be punished for acknowledging them in their submissions as having a "PR supporting role." "Changing the holding company network of the year criteria is a big deal because it will encourage ad agencies to credit PR agencies more than they have in the past," Wilson says. At the same time, PR firms will accrue points for the awards of Network of the Year, Agency of the Year, and Independent Agency of the Year when they are credited in the Idea Creation Role, Quinn adds. She notes Cannes has indicated it will email PR Lions entrants that do not credit a PR agency. On the entry form itself, the "results" question now covers media output, target audience outcomes, and business outcomes to better align with accepted industry measurements, while strategy and execution got a refresh, according to Plinio. "A number of criteria will be considered during judging and weighted as follows: 20 percent idea; 30 percent strategy; 20 percent execution; 30 percent results," she says. "For PR, we really recognize that the strategy is often where creativity really flourishes, and we expect to see strong outcomes as a result." Looking forward to June, van Bergen says she hopes Cannes "will recognize true PR work that should be recognized." "By that I mean they look at long-lasting impact, having data-driven insights, and clear measurement," she says.